Want to get the advantage over your competition? 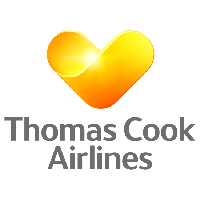 Make sure Thomas Cook Airlines will recruit you by attending a Cabin Crew Course. In two days you will learn what it takes to be Cabin Crew, how to excel as a candidate and how to show you are exactly what they are looking for. Click here to find out how you can join us. Nothing changes faster than the travel industry. At Thomas Cook we have to react quickly to changing customer needs as well as environmental, social, technological and political forces. Putting the Customer at the Heart of everything we do is our philosophy and ensures that we are all working with the same vision in mind. You’ll have a high level of personal presentation, with excellent communication skills and boundless energy and enthusiasm. You’ll be flexible, attentive to customer needs, a great team player with a passion for sales and reaching targets, prepared to work hard, and of course you’ll have a great personality. We only accept one Cabin Crew application per person so please ensure you are selecting the base that you wish to be considered for. Multiple applications will result is all applications being declined. If your application is successful you will be invited to complete a short video interview where, if successful, you will be invited to attend one of our assessment centres. Make sure you are offered a job as crew this year! and how to handle them all with ease. Plus you will leave feeling more committed and confident than ever before. Join our fabulous cabin crew trainers on 2 days which WILL get you flying! The Cabin Crew Wings Jobs Board brings you the latest Cabin Crew jobs and recruitment news from across the world. Upload your CV today so recruiters can find you.